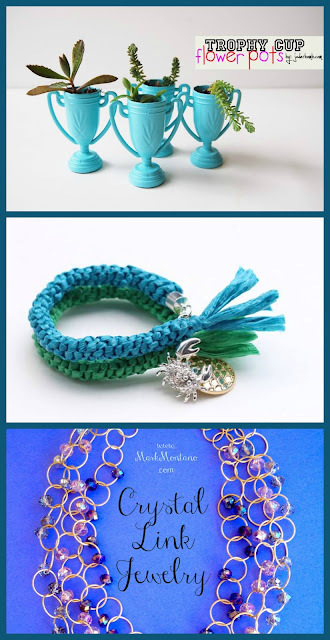 Mark Montano: Six Fun Summer DIYs! Every Thursday I feature a few projects made by some of my favorite crafters. There's something for everyone here so click on the links and find some inspiration. Make sure to tell them that Mark sent you. Happy Summer everyone! Up first, my besty Margot Potter creates beautiful crystal cocktail rings with Swarovsky crystals…….Now I want a cocktail! 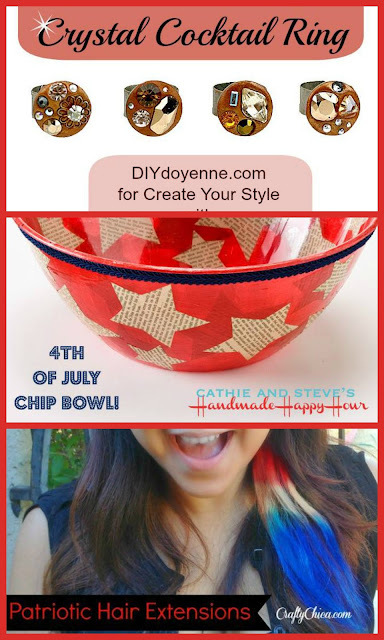 Cathie Filian from Handmade Happy Hour gets us ready for the 4th of July with some fun table décor. Kathy (aka Crafty Chica) creates patriotic hair extensions that will rock your 4th of July weekend! Jaderbomb from Jaderbomb.com shares her Trophy Cup Flower pots…….Just super cute and a great way to recycle those old bowling trophies! Heather at DollarStoreCrafts.com weaves up some magic with a raffia and charm bracelet that is, well, simply charming!